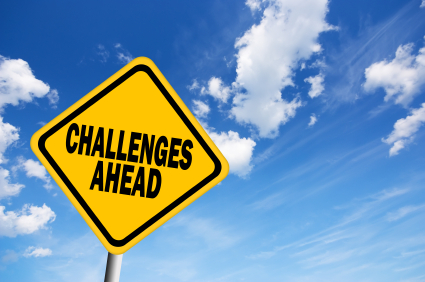 Every industry comes with its own unique challenges and hurdles, and the public relations field is no different. However, there are certain challenges PR pros face that make this career particularly tough sometimes, especially under certain circumstances. Don’t get me wrong, I don’t think it’s as stressful as a bomb squad technician or brick checker at the Great Wall of China. But a job in PR can certainly require the need for a stiff drink or an extra yoga class from time to time. I’ll be the first to admit the PR industry had an “interesting” beginning. Even the term “public relations” was invented to overcome what people thought of as propaganda. The Germans had adopted the term “propaganda” during World War 1, so the “good” (literally) folks in PR needed a workaround. Edward Bernays, the self-appointed father of public relations, came up with the new term. He also basically got into the field because he feared people frequently made the wrong decisions. As a result of work by him and others like Ivey Lee (inventor of the press release), those in PR were seen as manipulators. I suppose there is an element of truth to it – the man did get bacon and eggs first viewed as breakfast staples by swaying physicians’ opinions. PR pros today, though, strive to spread goodwill between the public and their clients and companies. Today’s world is different, and the common customer wants openness and honesty, not some crazy story to get them to buy something. Yet the stereotype still exists that we want nothing more than to trick people into buying stuff they don’t need. The great thing about today’s PR world is there are so many outlets to announce big changes and news with your clients. The flipside of that? There are just so many outlets out there available to announce changes and news! It’s easy to get overwhelmed when considering your options in PR. Want to announce a new product? Fine, go ahead – just figure out if your focus is through social media services, grassroots customer seeking, blog contacts, or an old fashioned press release offline. Usually, the best way is a mixture of all, but it’s trial and error until something sticks. Years past, you had one, maybe two big outlets for all your news stories. But we live in a fast paced world, and people want news and information as quickly as they can get it. Blink and you missed it. How to make it stick? We love our clients, but let’s face it – some of them drive us crazy. And nobody drives us crazier than the client who hires you one second then tells you how to do your job the next. Basically, they realize THEY’RE on Facebook all day too, so they know how to run a social media campaign, or they wrote a press release in college and would rather you use their version. Feedback is always good to have, especially when you have a business owner who is truly passionate about what they do. You want their message to be heard loud and clear over the usual din of everyday life. But sometimes when they’re getting in your way you have to put your PR pro foot down – then you risk going back to Problem #1! What’s the biggest problem you face as a PR pro? Amen to getting heard! You have to separate yourself and your brand through the use of creative content if you are gonna swim in those big seas! Great article thanks! I second “Everyone thinks they know everything.” And I would add getting clients to understand the value of PR as a major challenge.